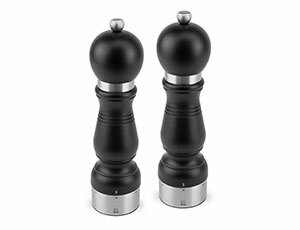 Peugeot Chateauneuf u'Select Salt & Pepper Mills are solid and substantial. 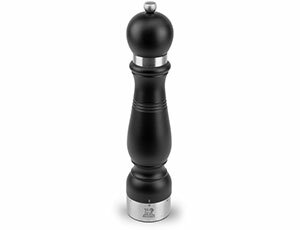 Each mill is made from select French beech wood and accented with brushed stainless steel. It features Peugeot's exclusive u'Select grind adjustment system, which allows the grind to be adjusted by turning the ring at the bottom of the mill. Turning the ring in one direction makes the grind finer, turning in the other makes it coarser. 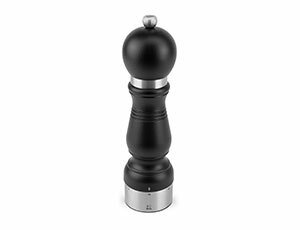 Once the grind size is set, it will stay in place until the user changes it.